Doubting Thomas started with the story of Joseph Campbell’s father, a black man killed in police custody. 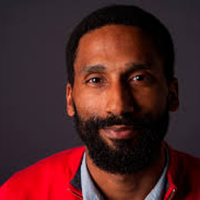 From that seed, he and Will McFadden created a story that tackles race in today’s America from an ultra modern perspective. Campbell now resides in Adelaide Australia, where he heads recruitment and athlete development for a basketball club in Adelaide, Australia. Prior to that, Campbell worked as a physical education professor and coach at a teacher training college in Malawi, Africa, where he earned the Presidents Volunteer Service Award. In Malawi, Campbell served as secretary at a locally-based organization securing international funding and partnerships. Before moving to Africa, he tutored the children of Hollywood and sport elites in Spanish-language and culture. Campbell continues to play semi-pro basketball in Australia, a career/hobby that has taken him from Venice Beach to the Malawi national team and courts on five different continents. Will McFadden is an American actor/writer/director, graduate of Occidental College, and member of Ensemble Studio Theatre-Los Angeles and Theatre of NOTE. Sarah Butler is an American actress best known for playing the lead role of Jennifer Hills in the popular reboot of the horror franchise I Spit On Your Grave. She has also played the lead role in Free Fall opposite D.B. Sweeney and Malcolm McDowell. Earlier this year, she received high praise at SXSW for her work as a charismatic stand-up comedian in Before the Sun Explodes. Jamie Hector is an American actor best known for his portrayal of Marlo Stanfield on the critically-acclaimed HBO series The Wire and as Jerry Edgar on Amazon’s hit series Bosch. Melora Walters is a well- known and highly regarded American actress. James Morrisson has is an accomplished American actor with over 30+ years of work, including a memorable turn as Bill Buchanan in 24. In addition to acting and filmmaking, Morrisson is renowned playwright, poet, singer/ songwriter, and yogi. His plays have been produced all over the United States, including the Sundance Institute and Ensemble Studio Theatre-Los Angeles. He can be seen in David Lynch’s reboot of the cult television classic Twin Peaks. 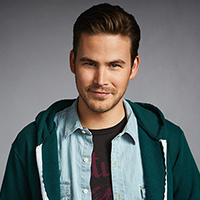 Zach Cregger is an American actor, writer, director, and producer. He first came to prominence as a member of the New York-based comedy troupe The Whitest Kids U’ Know. He later starred in the sitcoms Friends with Benefits and Guys with Kids. He currently plays Owen on TBS’ Wrecked. Rob Belushi is an American actor and son of Jim Belushi. Mark Sayre’s career has spanned over a decade with experience on both the distribution and production ends of the motion picture industry. He has produced a number of films over the last several years in addition to Doubting Thomas, including the upcoming features Point Defiance, The Malibu Tapes, Waterlily Jaguar (executive produced by Paul Thomas Anderson), DOE, We Still Say Grace, The Clearing, and Low Low. Sayre co-founded Lexicon Entertainment (dba Lexicon) to focus on low-budget genre properties with high-production quality and significant revenue projections. As President & CEO, he manages their annual slate of films. 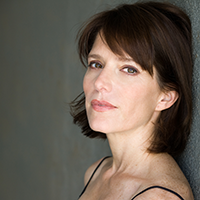 Laura Jane Salvato is a renowned theatre producer and served as Artistic Director of Ensemble Studio Theatre-LA for eight seasons. Under her leadership, the company emerged as one of Los Angeles’ premier developmental and producing ensembles, nurturing 100 new plays and over 300 artists each season. Salvato produced 10 premieres with the company, garnering nominations and/or wins including the 2005 GLAAD Media Award and the 2005 NAACP Best Producer Award, both for Trey Wilson’s Stage Directions. Salvato has now set her sights on producing feature films. In addition to her work as a producer, she is also an experienced grant writer and fundraising consultant. Casey Morris is an independent film producer based out of Los Angeles. She began her career at Creative Artists Agency before moving on to work with award-winning Italian director Gabriele Muccino (L’Ultimo Bacio) and his company, Indiana Production. While with Muccino, Morris was involved with The Pursuit of Happyness, Seven Pounds, and Four Single Feathers. Morris’ first project as an independent producer was with the documentary Trading the Gator, featured at the Durango Film Festival. She followed with the short film Trophy Wife, written and directed by Voula Duval and starring Mickey Sumner and Jamie-Lynn Sigler. She is currently developing several film and television projects, in addition to co-founding an assistance on-demand agency.